In continuing with my deployment series, I need to tell you about this incredible organization called ZZZ Bears. 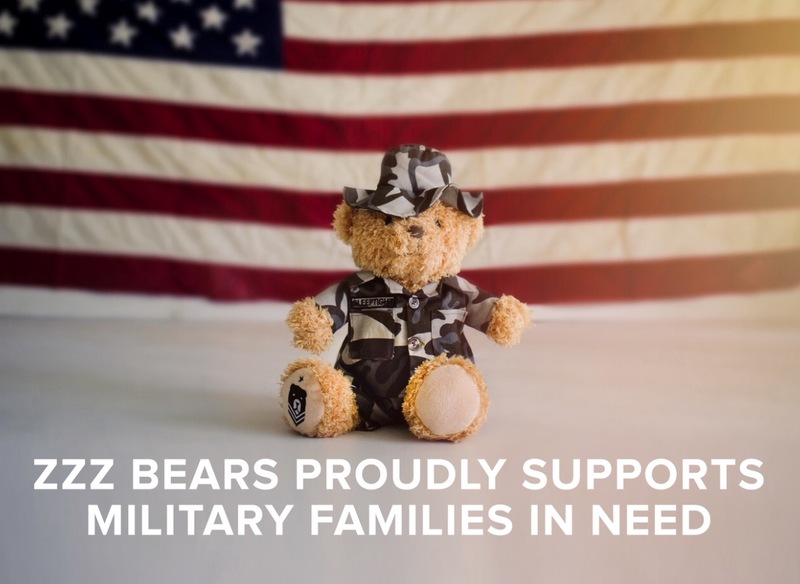 Whether you have a child that is terrified of the dark, or one that is confused and missing a deployed parent, ZZZ Bears has a unique and incredibly creative solution. The story behind the adorable Sgt. Sleeptight is simple. The founder’s child was afraid to sleep at night. 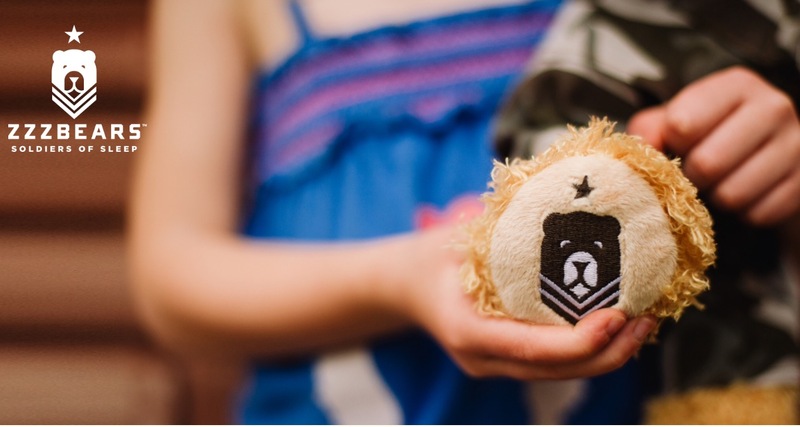 In order to ease her anxiety, the parents found a teddy bear wearing a Marine uniform and presented it to her as a protector. The story of protection and safety blossomed into a business with the mission of protecting against all monsters, boogey men and thunderstorms, as well as giving back to military children. When I received Sgt. Sleeptight to share with my daughter, I basically had to stop myself from bawling all over the box when I saw the passion and attention to detail that clearly went into this package. For about $29.99, you will receive a quality, soft teddy bear dressed in full “Sgt. Sleeptight” uniform complete with instructions on how to put Sgt. Sleeptight on duty, standing guard so your LO can dream peacefully. They go as far to as provide your frightened babe with a door hanger to let outsiders know that Sgt. Sleeptight is on duty as well as include silver and gold “Slumber Stars” to be awarded after successfully making it through the night. So not only are these the most creative people on earth, they also have huge hearts. They donate a portion of their proceeds to the Children of Fallen Patriots Foundation, assisting those children that have lost a parent in the line of duty. 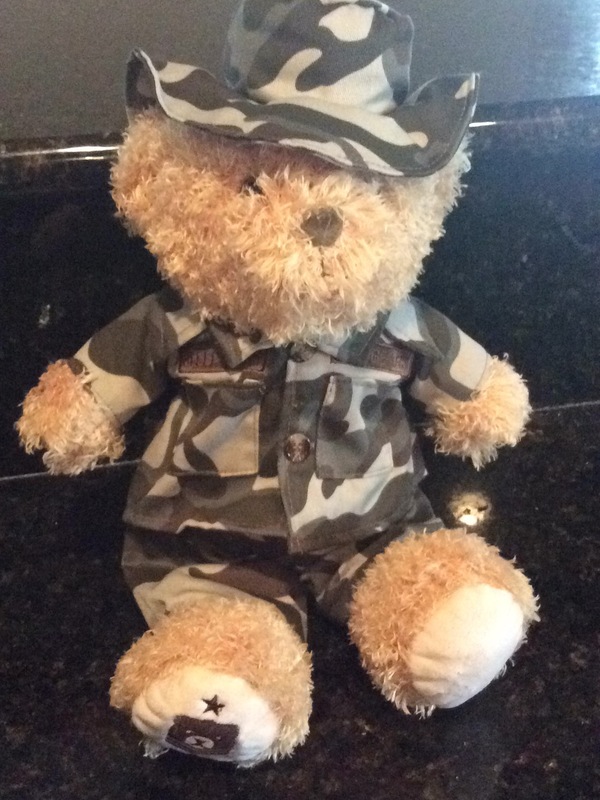 Not only is this a clever way to bring peace of mind to a child that struggles to sleep through the night, but it also brings a sense of familiarity and comfort to a military child. The language and tone set by the bear and kit that you receive Is sure to comfort a child that is afraid or missing a parent. Knowing Sgt. Sleeptight is watching over them even if mommy or daddy can’t will no doubt be a comfort. Even though my LO is a mere 15 months, she knows what daddy’s uniform looks like and she surely knows how to snuggle a soft teddy. As we’ve been discussing, deployment isn’t easy for any member of the family. I have no doubt that as she grows, the story of Sgt. Sleeptight will help to ease her little worries as she struggles to adjust to daddy being away. I am so thankful for companies like this that take the unique needs and fears of military children into consideration when creating comfort items. The story you can create with your little one will let them know that this isn’t just another stuffed animal. If he’s on duty, it’s one more encouragement that everything will be ok and it’s safe to get a good night’s rest. Thank you ZZZ Bears! I will surely be sharing your product and story with all of my military friends as well as parents of any child struggling to sleep through the night.